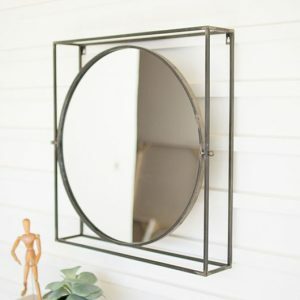 Great combination of a wood shelf and round mirror with corrugated metal detail. This wall decor unit combines functionality with great decor. 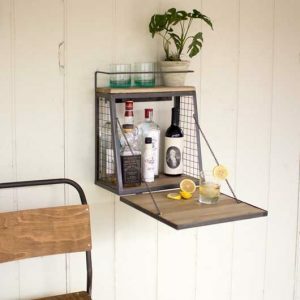 The shelf will hold your items you reach for often and the hooks will hold those necklaces or bracelets you wear often. Use in the powder room, over a dresser, in your entry way, or even your craft room.